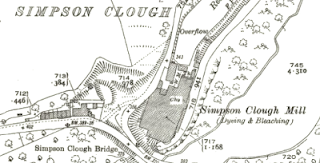 The Simpson Clough Paper Mill, home of Union Papertech has been a part of Heywood’s community since the 19th Century. Even though Union Papertech are now world renowned for producing specialist filter paper, this hadn’t always been the case. When the mill opened in 1840 it was built as a ‘Fulling Mill’. Fulling was a step in woolen cloth making which involved the cleaning of cloth to get rid of oils, dirt’s and other impurities whilst also making it stronger. By the 1880s, the mill became a dye works under the ownership of Oran T & Sons and continued to be a thriving dye works until the Crompton family bought the mill from the Barker Bros in 1939, nearly 100 years after it first opened! When the Second World War broke out in 1939, the mill became a food storage point for the community until the end of the war in 1945. The mill finally became a working paper mill in 1946, using conventional tissue machines to produce bible paper until 1974 when the paper machines were upgraded and production of specialist filtration paper started. As the rise in tea bags began in Britain, so did the production of tea bag paper at the mill. At the height of its production, Crompton’s employed hundreds of people from the local community, giving a huge contribution to the towns economy. 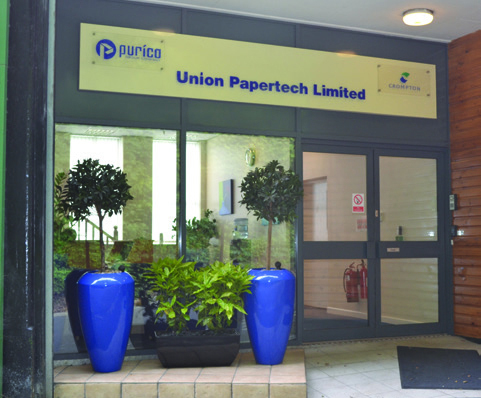 In 2006, the business was bought by the Puri family, renamed Union Papertech and became part of the prestigious Purico Group. The mill has since thrived, becoming the U.K’s leading manufacturer of filtration paper to the tea and coffee industry, exporting around 6000 tonnes of paper to countries all over the world each year.